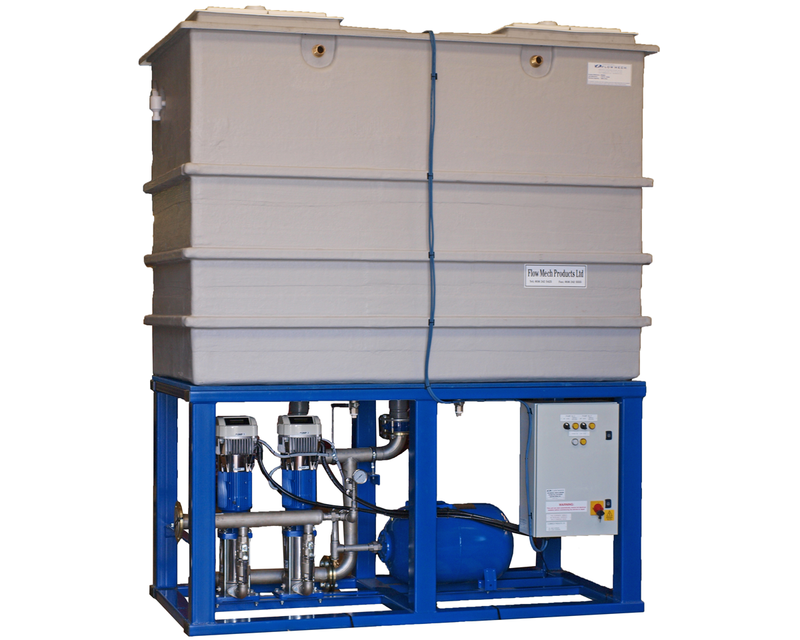 Space saving multi-pump booster set range with frame mounted WRAS listed GRP break tank, up to 3000 litre nominal capacity. 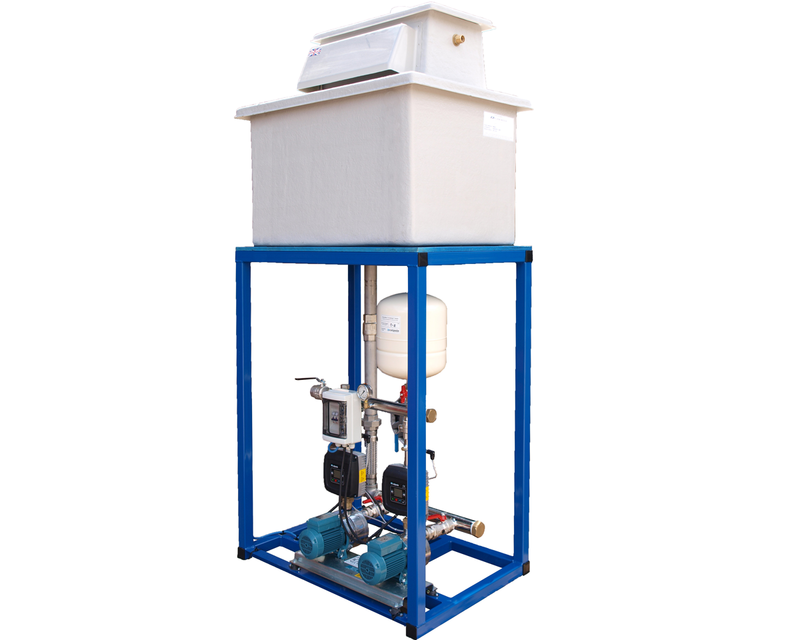 Incorporating WRAS listed low level float switch, options on ball float valves & overflow / warning. 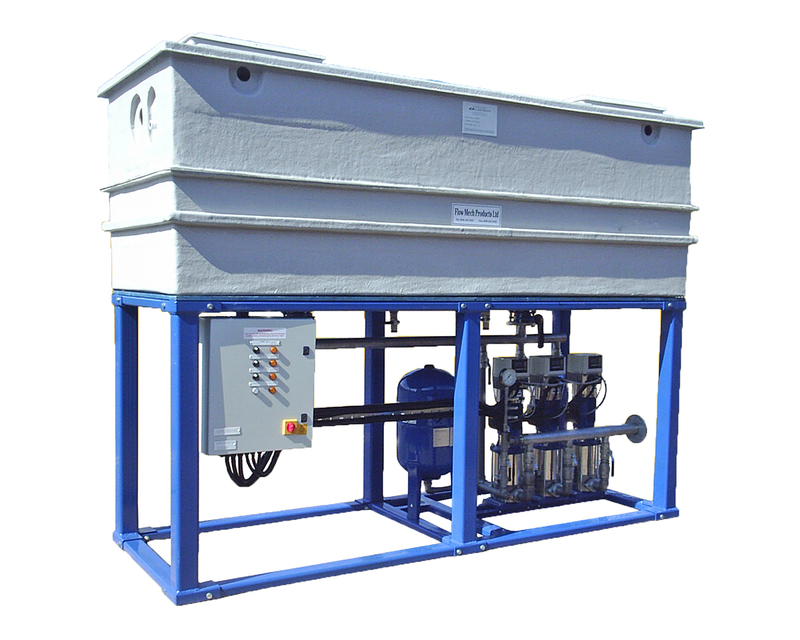 Tank alongside options available with larger storage volume. 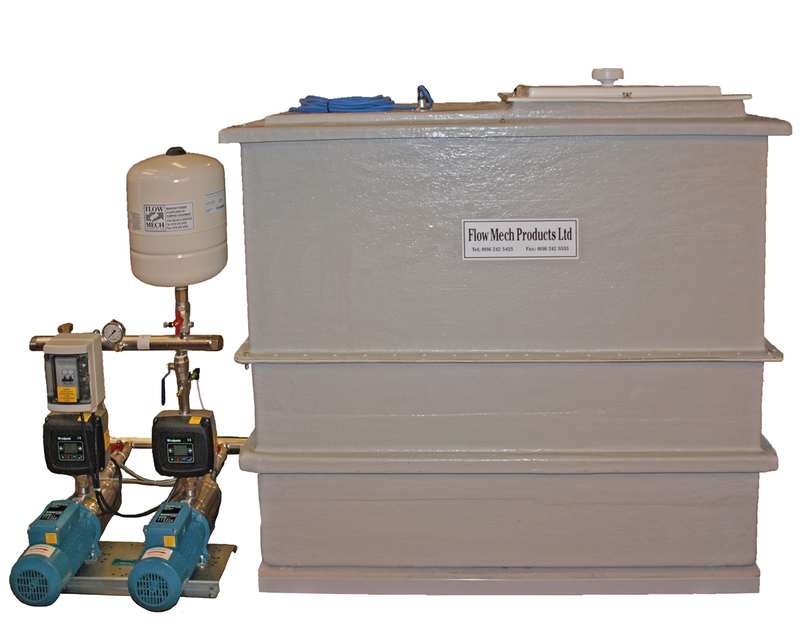 Optional two piece tank & kit form frame for restricted access – Flow Mech site positioning/assembly service available. For full details download the pdf or contact our technical sales office for selection and price.